New Year. Woman With Balloons Celebrating At Party. 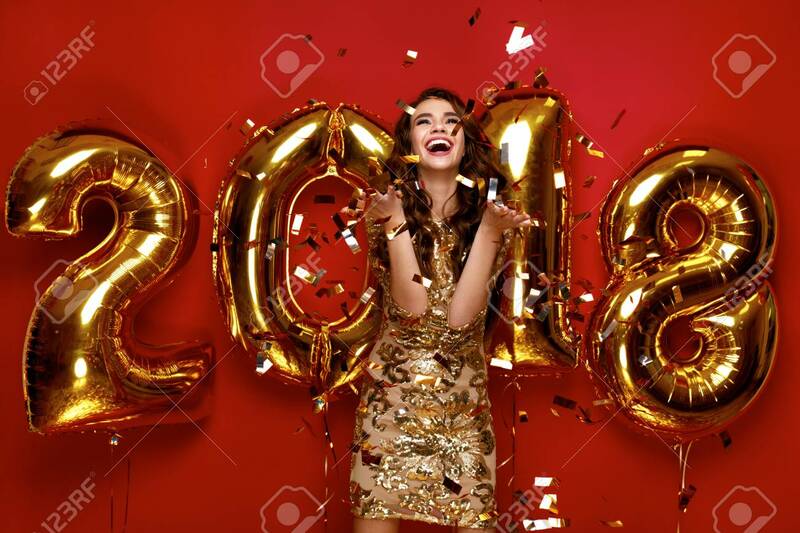 Portrait Of Beautiful Smiling Girl In Shiny Golden Dress Throwing Confetti, Having Fun With Gold 2018 Balloons On Background. High Resolution. Lizenzfreie Fotos, Bilder Und Stock Fotografie. Image 90218366. Standard-Bild - New Year. Woman With Balloons Celebrating At Party. Portrait Of Beautiful Smiling Girl In Shiny Golden Dress Throwing Confetti, Having Fun With Gold 2018 Balloons On Background. High Resolution. New Year. Woman With Balloons Celebrating At Party. Portrait Of Beautiful Smiling Girl In Shiny Golden Dress Throwing Confetti, Having Fun With Gold 2018 Balloons On Background. High Resolution.